I would like to direct my donation towards.. 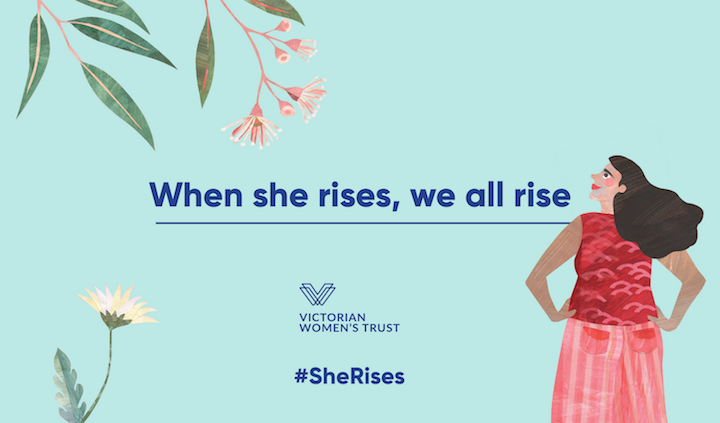 The Victorian Women’s Trust Ltd is the engine room conducting research, advocacy and public campaigns to ensure gender equality becomes a reality in this lifetime. The Victorian Women’s Benevolent Trust provides grants to innovative projects through its General Grants program and Sub-Funds to improve opportunities for women and girls in Victoria. The Dugdale Trust for Women & Girls carries out national harm prevention projects to ensure women and girls have a brighter future. Select this option to make a donation to the Robyn Mason Sub-Fund. What do you hope 2019 looks like for women and girls in Australia?